Jumpsuits have taken this season by a storm the range of jumpsuits available on the high street right now is just incredible especially the way beautiful summer fabrics like cotton and linen have been incorporated, along with the must-have button through trend, fastly making jumpsuits this season’s must-have piece. 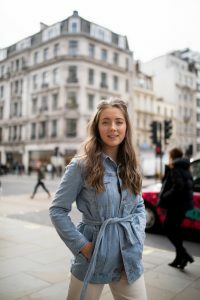 New Look is a go-to for me when it comes to jumpsuits as they have an amazing range for all occasions and so many fresh styles that meet all of the must-have trends. 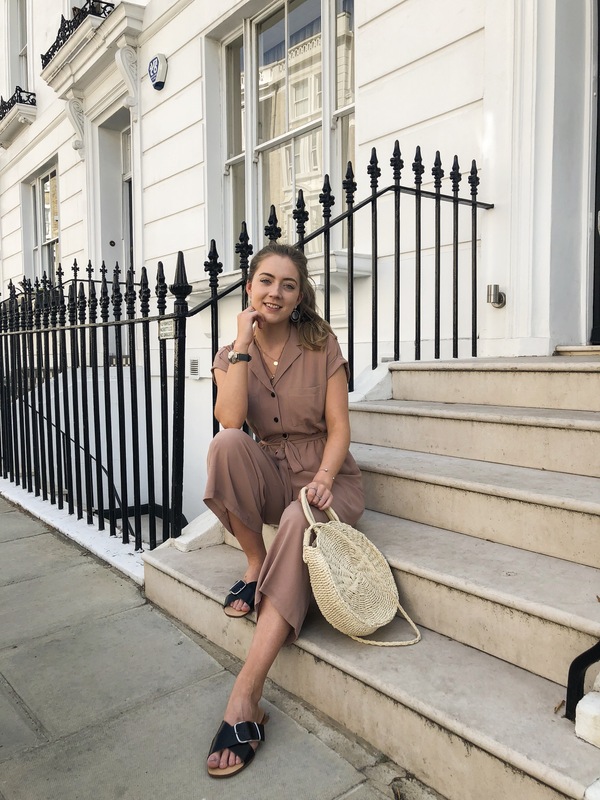 The one I have featured in this post is perfect for everyday wear it’s very relaxed yet on trend and the muted camel colour is just so versatile. The belted area in the middle allows you to accentuate your waist and the black button details fit in perfectly with a pair of black mules. Then all you need is a neutral basket bag to hold your belongings and you’re left with a perfect go-to comfy style. Carrying on, in terms of tops, again something that New Look are nailing this season. 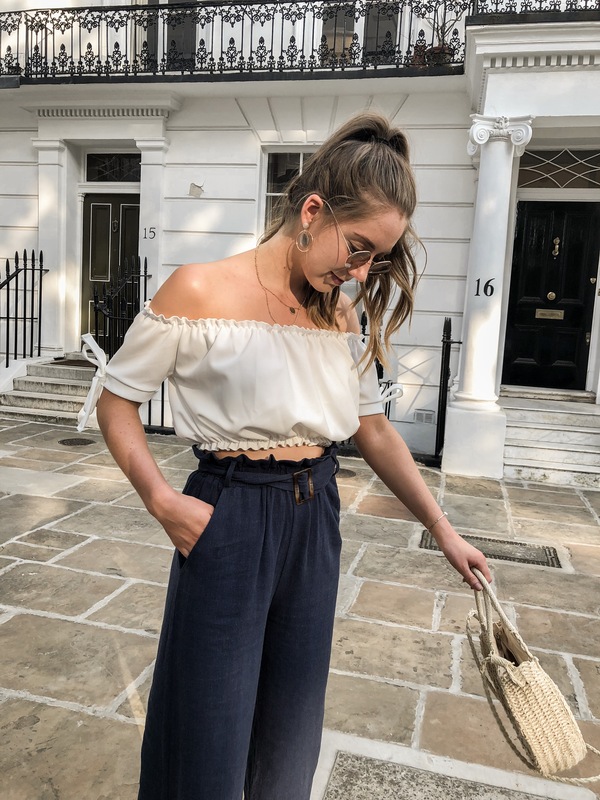 Affordable tops are essential as learning from experience it is very easy to ruin pretty -light coloured tops with suncream, iced drinks, and fake tan! A trend that I have seen coming through a lot recently is Broderie a lovely feminine style that is very pretty and elegant and a perfect way to keep cool in the heat due to its naturally lightweight finish. 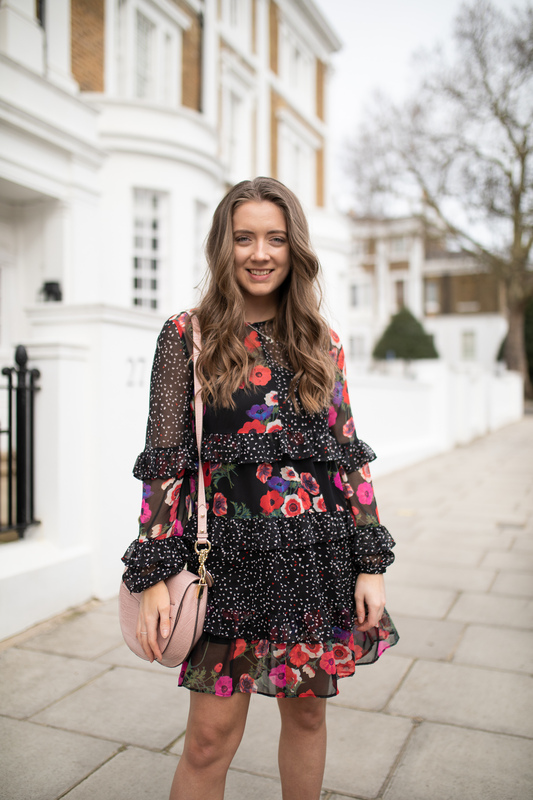 There is no hiding the fact that natural looking minimal basket bags have been a big hit since the very start of Spring and New Look have just dropped a whole range of styles that I am loving. From woven to wooden to mixed materials, I’m on a quest to own them all. Basket bags just make the perfect summer accessories, they fit so well with any summer outfit and don’t feel hot and bulky to carry around in 30-degree heat! What is a Summer wardrobe without some beautiful added extras?! I have picked up many accessories from New Look in the past few months and there are still so many more I’m yet to buy, there are currently 10+ pairs of earrings I have my eye on and so many gorgeous pairs of shoes New Look really are producing the goods in this department! The styles that stand out to me when it comes to jewellery are very minimal and earthy much like the basket bags! something with a tortoiseshell effect or marble. I also love the geometric styles and things with a bit of texture. When it comes to shoes I have been obsessed with sliders/mules mainly because they are so comfy and super chic!